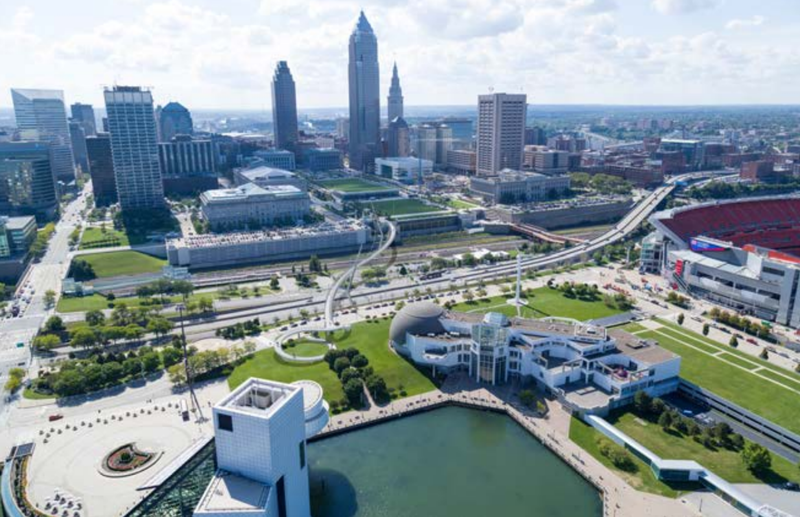 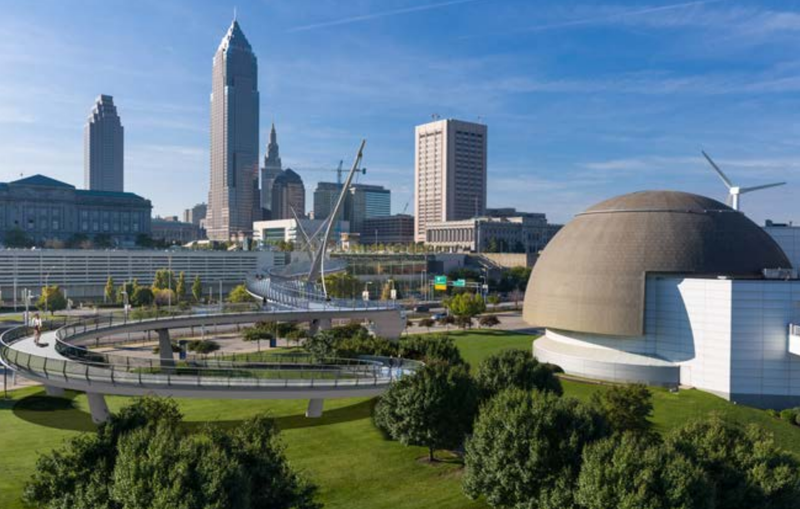 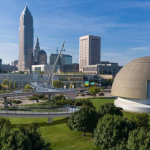 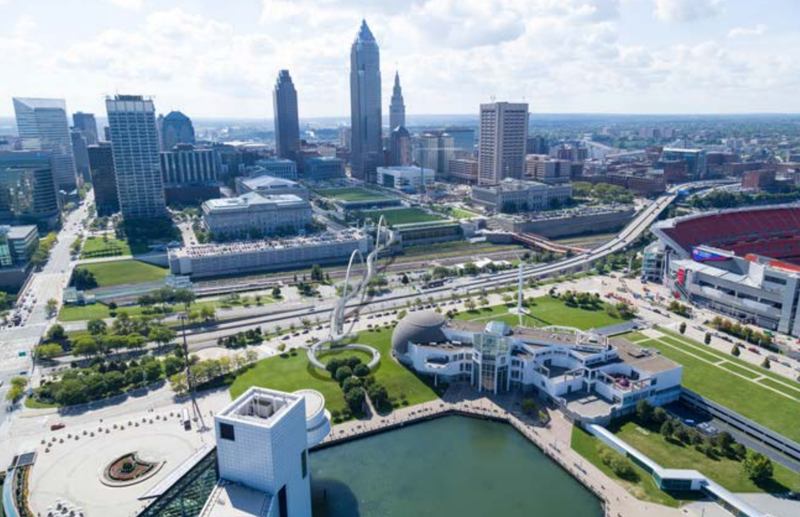 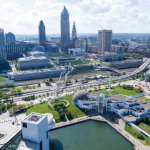 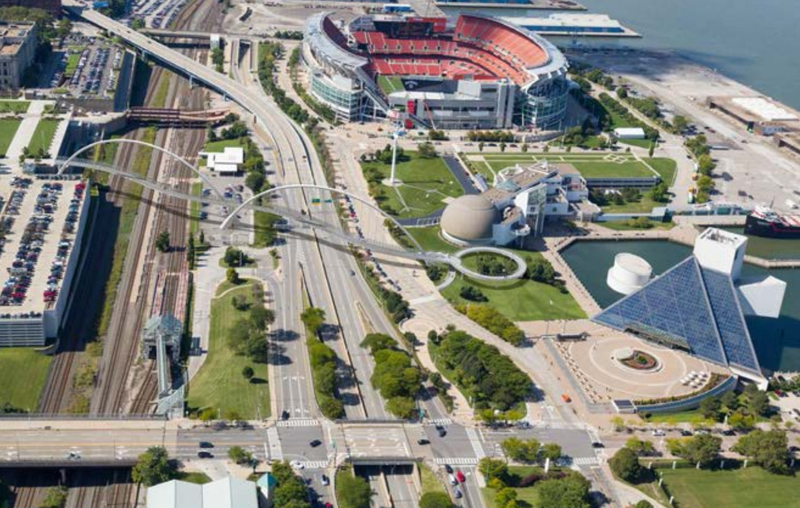 Cleveland’s lakefront attractions and downtown have long been estranged neighbors, not easily accessed from one another without a car. 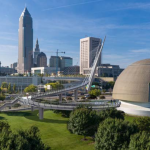 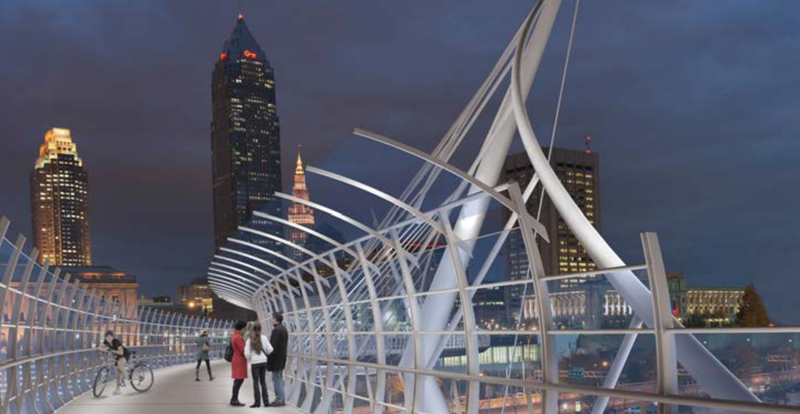 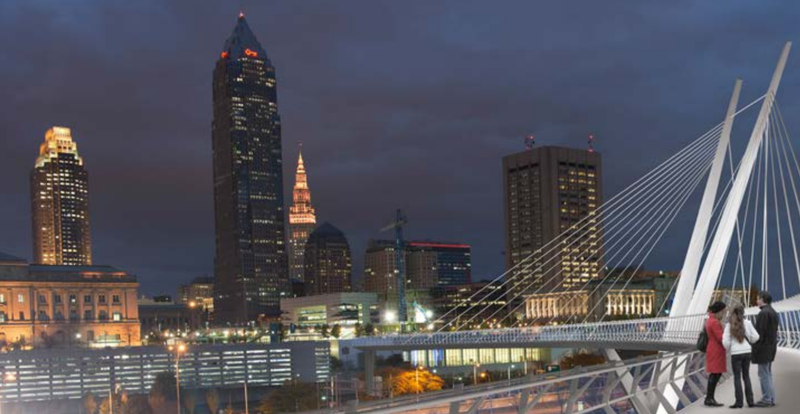 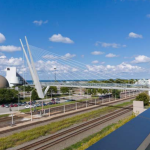 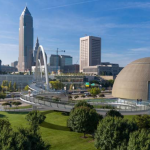 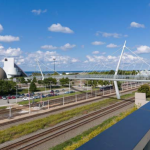 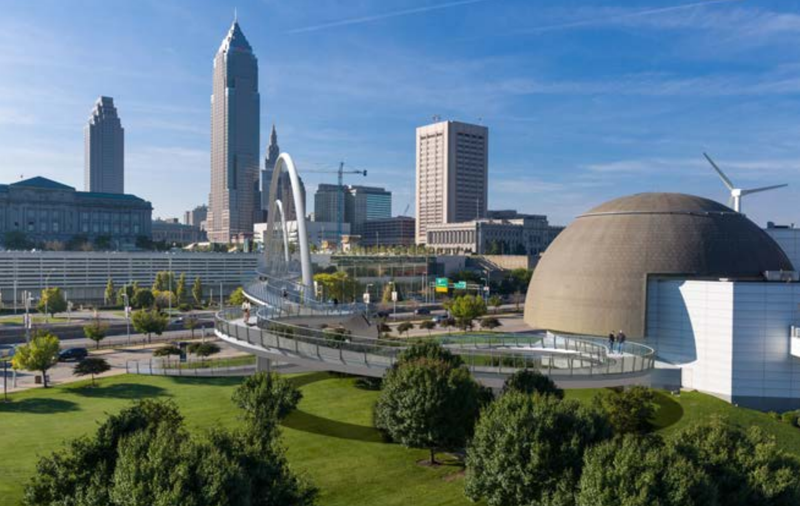 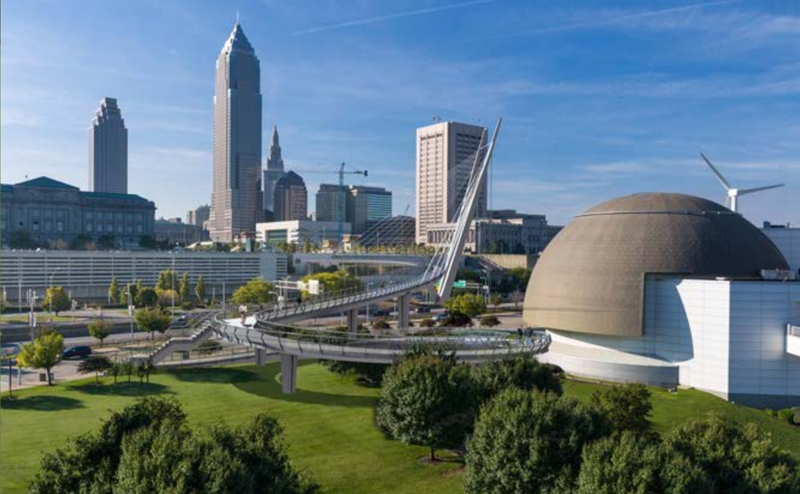 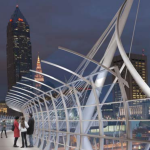 The city and Cuyahoga County plan to fix that, offering a 900-foot bridge for pedestrians and bicycles that will hop over railroad tracks and The Shoreway, a lakefront highway built in the 1930s. 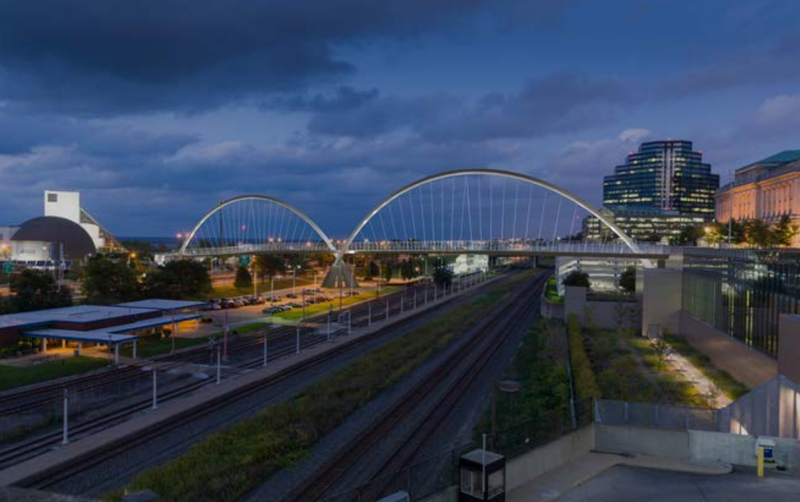 The $25 million bridge takes off from the downtown Mall, touching down between the I.M. 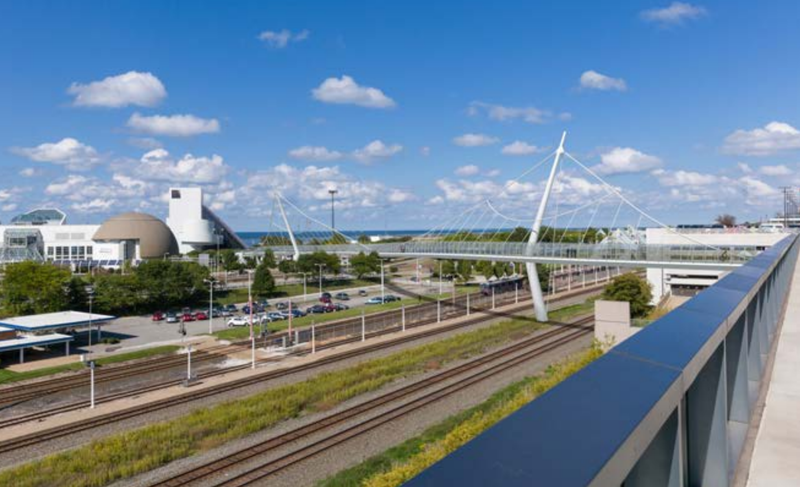 Pei–designed Rock and Roll Hall of Fame and the Great Lakes Science Center, designed by Boston’s E. Verner Johnson. 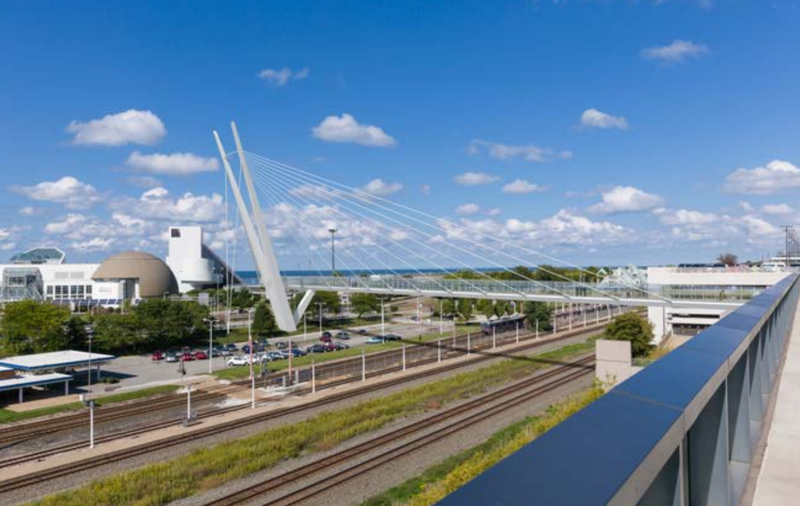 Another Bostonian is heading up design duties for the new bridge. 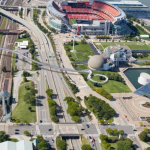 Miguel Rosales’ firm Rosales Partners hatched three design schemes with the help of Parsons Brinckerhoff. 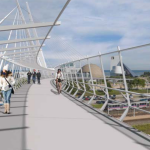 The final design has not been selected, and regional officials say it will come down to community input. 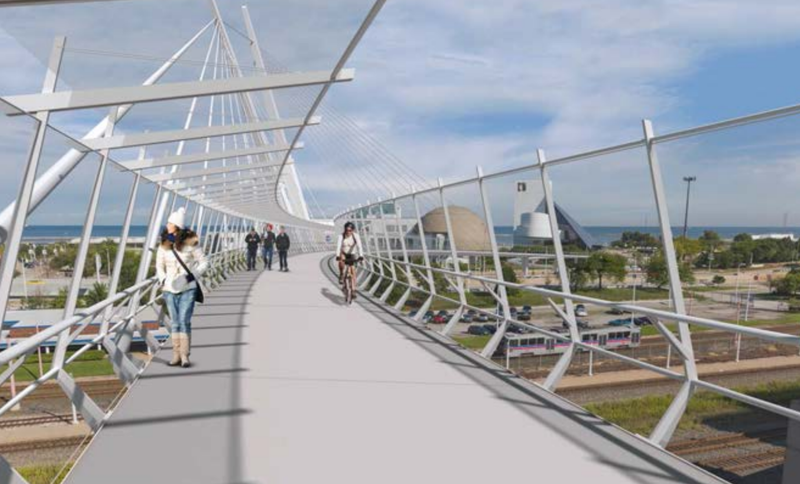 Construction is expected to begin May 2015, wrapping up by June 2016. 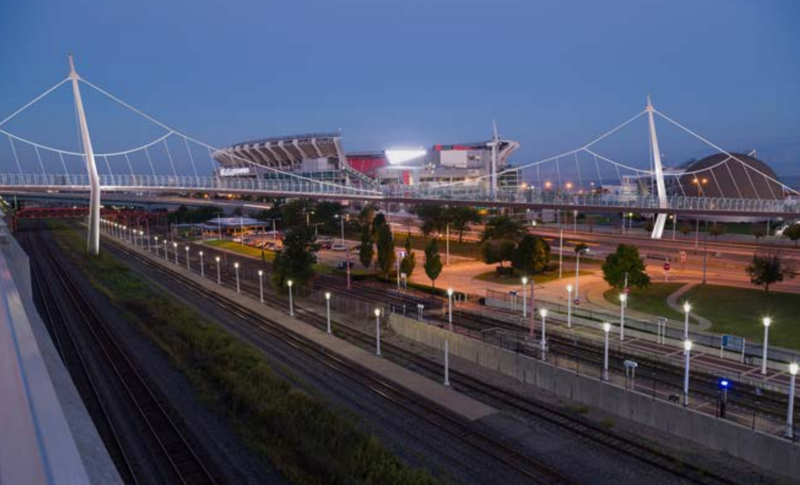 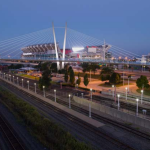 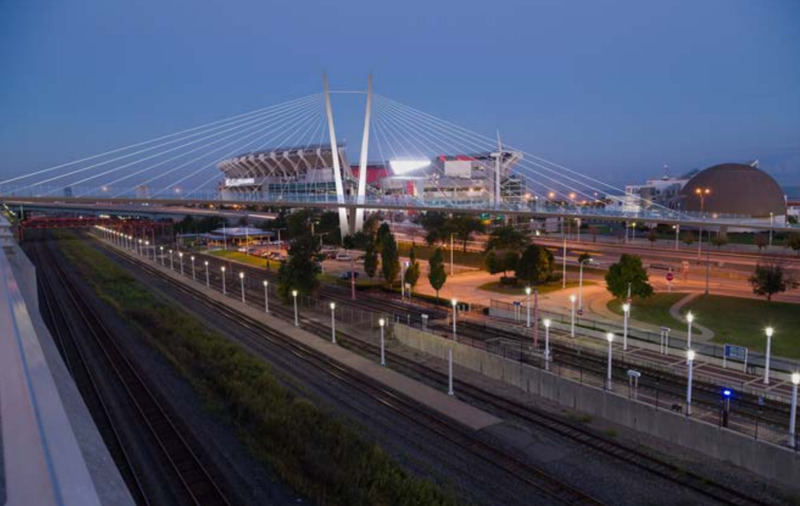 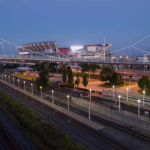 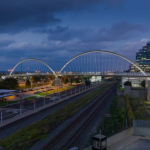 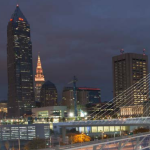 But before that, public authorities are seeking comment from the bridge’s eventual users by hosting a free public meeting from 6:00 to 7:30 p.m. on Thursday, November 13, in the County Council chambers on the fourth floor of the county administration building, 2079 East Ninth Street, Cleveland.